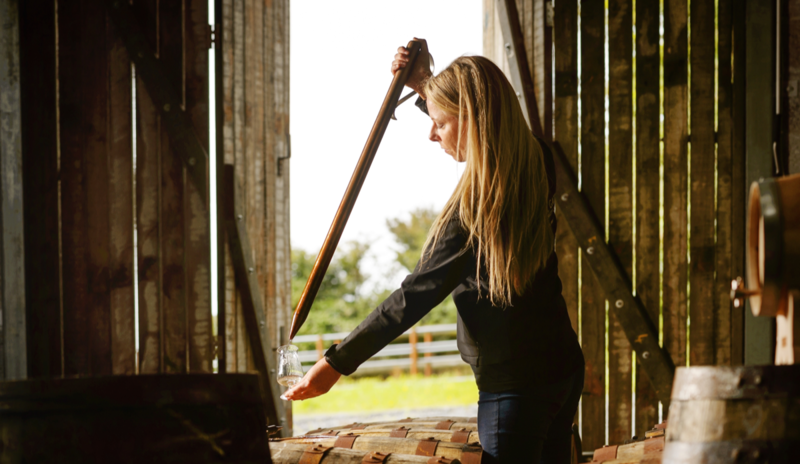 Louise McGuane founded Ireland's only modern bonded whiskey company, Chapel Gate, just a few years ago. 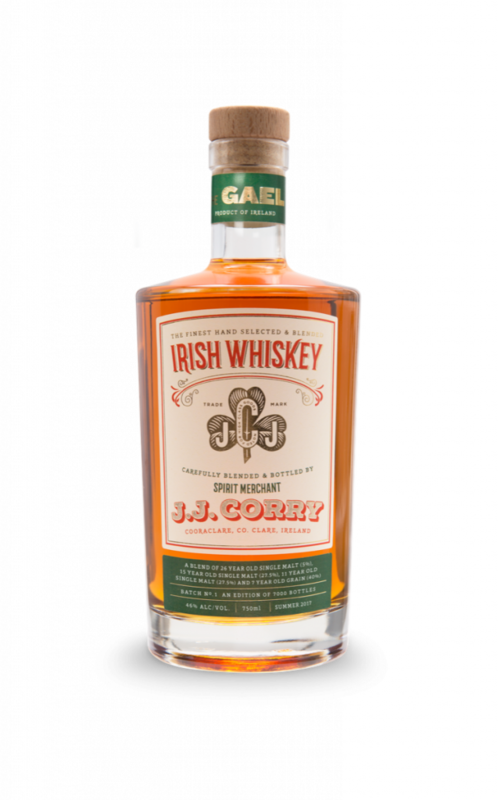 Its J.J. Corry The Gael blended whiskey is now hitting shelves in the U.S. 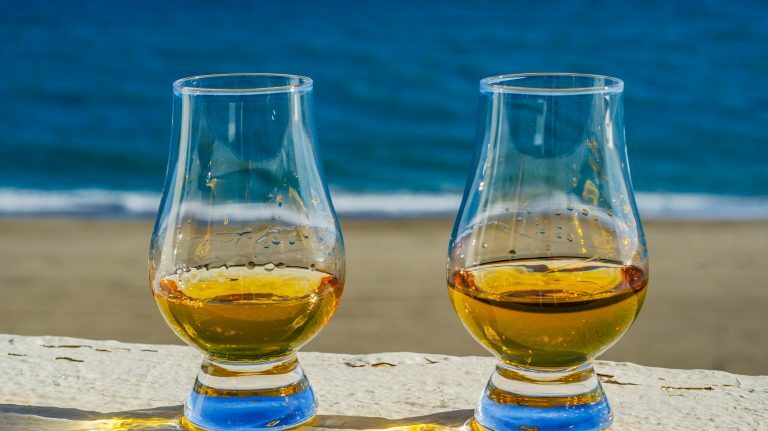 While Loch Lomond Distillery’s partnership with The Open is set to include a host of new whisky releases, we’ll have to wait until this summer for the first one to be revealed. In the meantime, there are plenty of other new releases to tide over thirsty whisky lovers. The whiskey word of the week is bonded. Heaven Hill Distillery—maker of Whisky Advocate’s 2017 Whisky of the Year, Elijah Craig Barrel Proof—is about to debut the first in a series of limited-edition Old Fitzgerald bottled in bond bourbons. 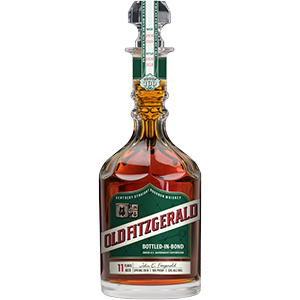 Every spring and fall, Heaven Hill will roll out a new Old Fitzgerald Bottled in Bond, each with a different age. The wheated bourbon brand has long included a non-age statement bonded expression, but these special editions will each be much older than the requisite 4 years and available in limited quantities. The first release is priced at $110. Another bonded whiskey is launching, but this one is from Ireland, where the definition of “bonding” is quite different. Historically, Irish whiskey bonders were much like independent bottlers; they bought new-make spirit from distilleries and aged it themselves, finishing or blending it when mature to their custom specifications. The practice declined and eventually disappeared when the Irish whiskey industry shrank in the early 20th century, but one woman has brought it back. J.J. Corry The Gael is the first release from Chapel Gate Irish Whiskey Company, founded by Louise McGuane in 2015 with the aim of recreating Ireland’s historic regional whiskey flavors. It blends three single malts of varying ages with a 7 year old grain whiskey and costs $75. Also from Ireland, John L. Sullivan blended whiskey, sourced from undisclosed distilleries, is hitting shelves and will be widely available for $26. 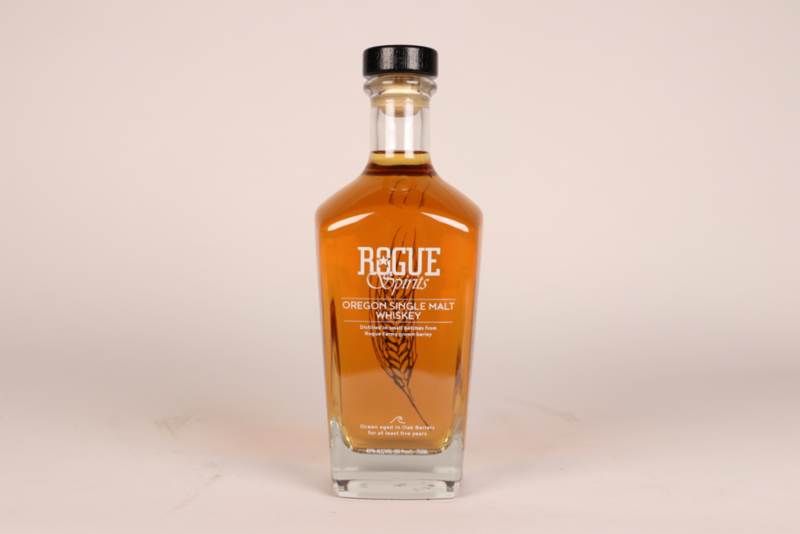 Meanwhile, Rogue Spirits is relaunching its Oregon single malt, Oregon rye malt, and Dead Guy whiskeys. The single malt is now 5 years old, while the rye malt is 3 and Dead Guy is 2 years old. Whisky Advocate reviewers did not find much to enjoy about Rogue’s whiskeys in the past. When we taste these new offerings, we’ll let you know how they hold up. 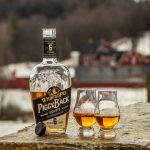 Finally, Virginia Distillery Company has unveiled a new whisky that has been finished in barrels that first held bourbon, then its Virginia-made whiskey, then craft beer from local brewery Three Notch’d, before returning to the distillery to finish its blend of Highlands scotch and Virginia whiskey. Read on for full details. Heaven Hill Distillery has announced a new series of bottled in bond bourbons under the Old Fitzgerald line, coming out every spring and fall for the next five years. The first release, distilled in spring 2006, will hit shelves after being bottled in April. The bottle’s design echoes decanters of Old Fitzgerald from the mid-20th century and includes a tax strip stating when the whiskey was distilled and bottled. If you don’t already drink bottled in bond whiskey, you should. Heaven Hill makes a few different bonded bourbons, including Henry McKenna, Evan Williams, and one of the past Parker’s Heritage editions. The move to create a bottled in bond Old Fitzgerald isn’t novel—the brand has long offered a bonded expression, although it has been hard to find in recent years. This bourbon, however, is much older than the usual Old Fitzgerald Bottled in Bond, and will only be available as a limited edition: when it’s gone, it’s gone. Each future spring and fall release will be unique, of varying ages and with varying prices. 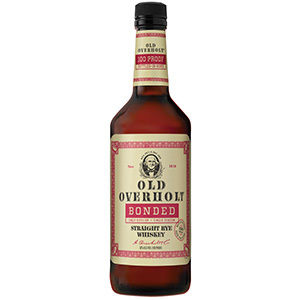 The last time Old Overholt had a bottled in bond straight rye was over 50 years ago. At 4 years old and 100 proof, this whiskey should have more robust flavors and mouthfeel than the standard 80 proof Old Overholt. Historically made in Pennsylvania, Old Overholt was once the foremost example of Old Monongahela rye. It has been made in Kentucky for the last three decades or so. The full story of the brand goes back to the early 19th century, and it’s a good one. 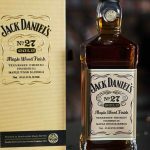 Availability: 7,500 bottles in the U.S.
Comprised of three single malts—a 26 year old (5%), an 11 year old (27.5%), and 15 year old (27.5%)—and a 7 year old single grain whiskey (40%), this is the first release from Chapel Gate Irish Whiskey Company. The company was founded by Louise McGuane in 2015 and is Ireland’s first whiskey bonder in modern times. 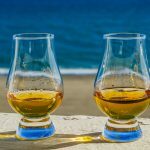 In Ireland, “bonded” whiskey refers to whiskey sourced by non-distiller producers, aged in their own bonded warehouses, and then finished or blended and bottled under their own brand names. The practice was common in the 19th century—indeed, most of Ireland’s whiskey would have been sold this way, rather than by the distillery under its own name. But as Ireland’s whiskey industry shrank in the early 20th century, the practice of bonding disappeared. As the country’s whiskey production is booming once again—and many brands are popping up, using sourced whiskey—will more companies revive the bonding tradition? 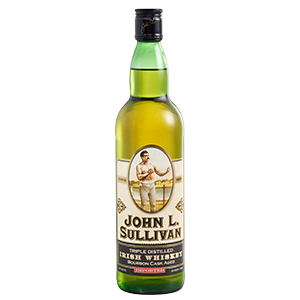 Availability: 12,000 bottles in the U.S.
Named for an Irish-American boxer who lived in the 19th century, John L. Sullivan is a blend of malt and grain whiskeys from undisclosed distilleries. 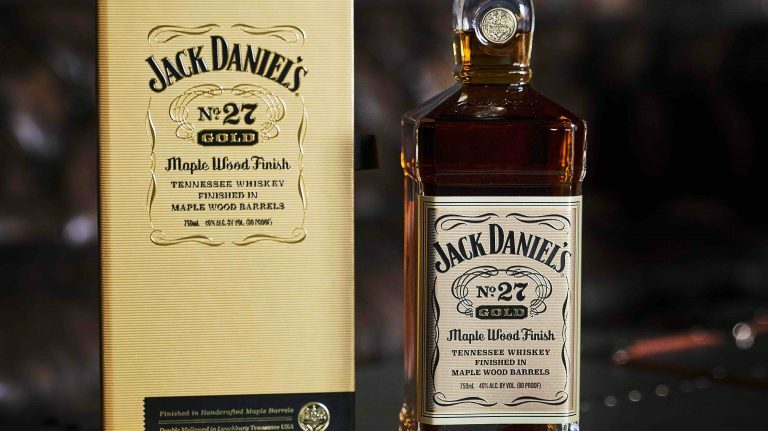 Whiskies named for famous boxers are now officially a thing. Made with Rogue’s trademarked Risk malt and proprietary Pacman yeast, this whiskey matured for five years. 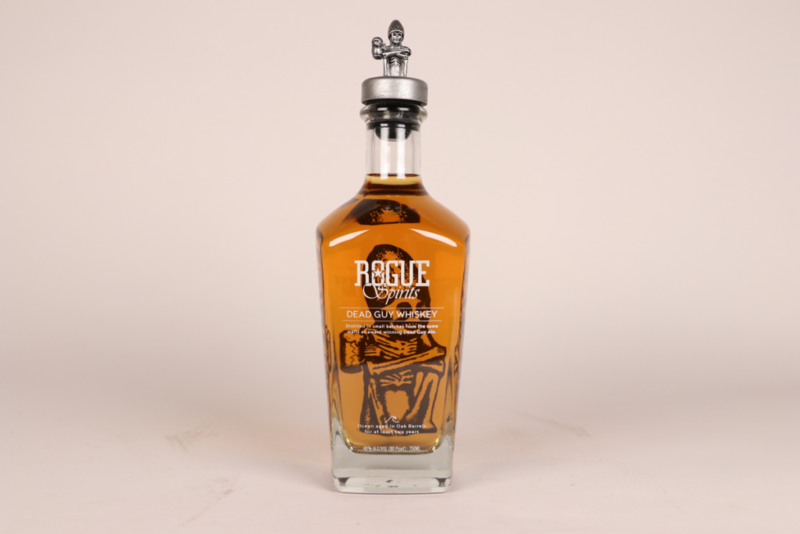 Rogue used its trademarked Dream strain of rye Risk and Dare malts, as well as Pacman yeast, to create this whiskey, which spent three years. Distilled from the same malts used in Rogue’s Dead Guy Ale—2-row, Maier Munich, C15, and Rogue’s trademarked Dare and Risk malts—this whiskey is aged for two years. Unlike the malted rye and single malt whiskeys, it uses distiller’s yeast rather than Rogue’s proprietary Pacman strain. 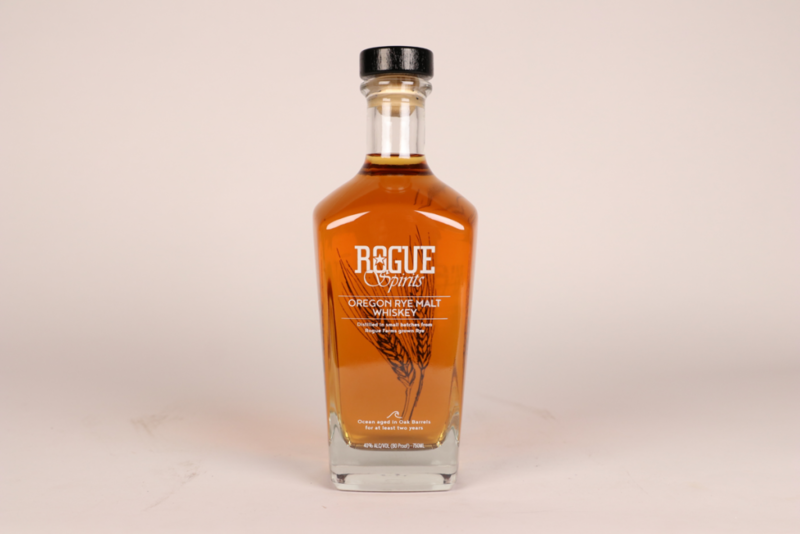 Rogue grows all the grain used in its whiskeys in the Willamette and Tygh Valleys of Oregon. Originally just a brewery, Rogue branched out into distilling in 2003. 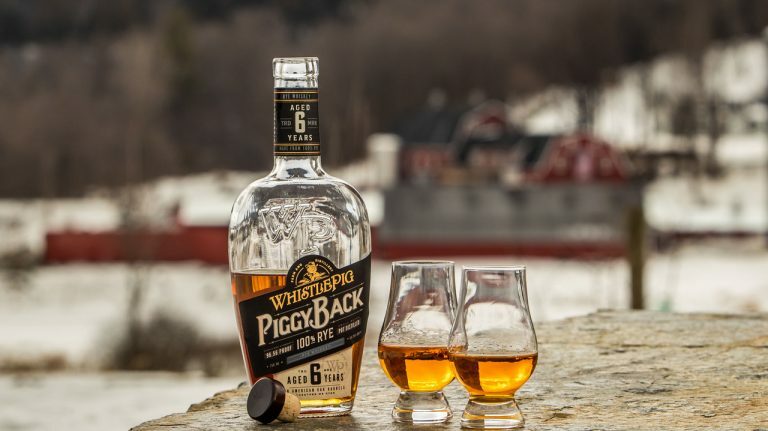 It has previously sold whiskey that has not been well-received: the single malt scored 73 points when reviewed, while Dead Guy whiskey scored 69 points. These new releases are older and may show improvement—we’ll let you know. This is the first batch of a series of planned whiskies that will be finished in beer barrels which were originally used to age Virginia Distillery Company’s whisky before being filled with beer. 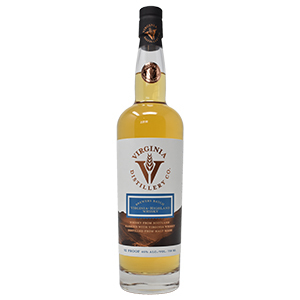 The whisky itself is Virginia Distillery’s core product, a blend of single malt whisky from the Highlands of Scotland with whiskey distilled from malt mash and aged in ex-bourbon barrels in Virginia. The 12-month finish was in casks that originally held the Virginia whiskey and later were used to age Stage Road Wee Heavy beer from central Virginia’s Three Notch’d Brewery. Future Brewers Batches will partner with other craft brewers; the next one will be Washington, D.C.’s Three Star Brewing. There’s a lot to unpack about this whisky. First, it’s an unusual multinational whisky that combines single malt scotch with “whiskey distilled from a malt mash” made in Virginia. “Distilled from X mash” is the legal classification for whiskeys that would otherwise qualify as a bourbon, rye, malt, or wheat whiskey, were it not for the fact that they are aged in used or toasted barrels, rather than new charred oak. This particular whisky is made from 100% malted barley and aged in a barrel that formerly held bourbon. American whiskey laws do not yet include a legal definition for “single malt” (though they do define single malt scotch), which is why this technically cannot be labeled as a blended malt. In addition, this whisky is finished in a barrel that previously held beer—not so unusual, except that the barrel’s previous use was to age the distillery’s whiskey. Of course, that was its second use, its first being to age bourbon. So all in all, the barrel has been used for four different aging periods: 1) bourbon; 2) Virginia whiskey; 3) Three Notch’d Stage Road Wee Heavy; 4) Virginia-Highland whisky. Whew! Even in the whisky business, that’s a lot of use for one barrel. Where can I buy bottled in bond 11 year? !